You’d be hard pressed to find a Southern city that celebrates the Emerald Isle as much as Atlanta does. First held in 1858, the Atlanta St. Patrick’s Parade is the longest-running event in town. Like potholes and streets named Peachtree, Irish-themed pubs are all over the place. So how do you know which ones are worth your time? Allow us to help you with that. It might sound crazy to think there’s an Irish pub with both delicious food and killer drinks. It isn’t crazy -- it’s Meehan’s. 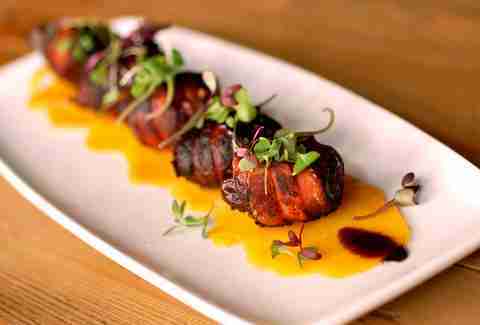 Try one of its most famous dishes, Devils on Horseback -- so good, it landed on the Atlanta Convention and Visitor's Bureau Signature 100 Dishes list. If that doesn’t appeal, maybe the goat cheese-stuffed dates wrapped in bacon on top of roasted beets with a red wine reduction sauce will. If you’re not into any of those options... just order a beer, and tip your bartender. Don’t sleep on this East Atlanta favorite. The bar itself is deceptively open and spacious, and you’ll appreciate its ambience even more once you settle in with a hearty $5 burger & fries and a $1.50 PBR tallboy (Wednesdays only!). They also have an extremely addictive Irish Cheddar dip made with crème fraîche and served with toasted baguettes. Fado is an interesting pub/restaurant. 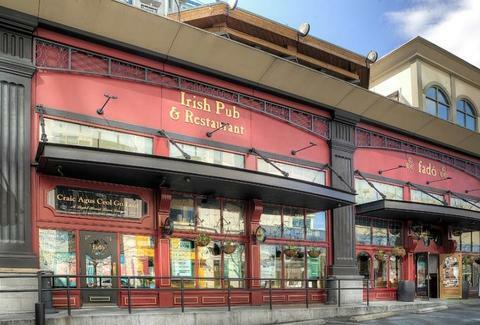 It’s comprised of several floors, boasts a lovely rooftop patio, and is also known for having the best Guinness in town. Pair all that with the pulled lamb French dip, or surprisingly delicious pork belly tacos, and you’ll feel the infamous luck of the Irish in no time. Or just full... which could be the same thing? As the winner of last year’s international Irish Pub of the Year, Olde Blind Dog obviously does not lack in authenticity. 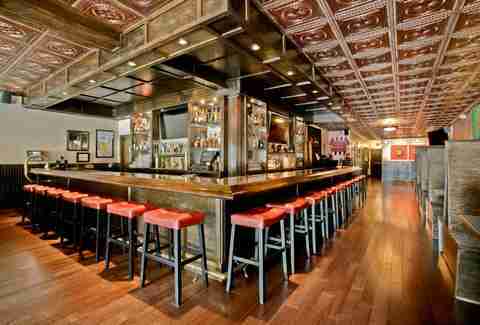 It’s no wonder, then, that its beer, Scotch, and bourbon selections are all top notch. Opt for either a $7 Jameson or a $22 Bushmills 1608. And because you have to have something (preferably meaty, cheesy, and greasy) to soak it all up, try the stout onion soup and lamb/beef meatloaf. If it’s nice out, you can do all of this eating and drinking on the patio. A hidden gem in the heart of Virginia-Highland, Limerick Junction can get busy. BUT it serves free popcorn. 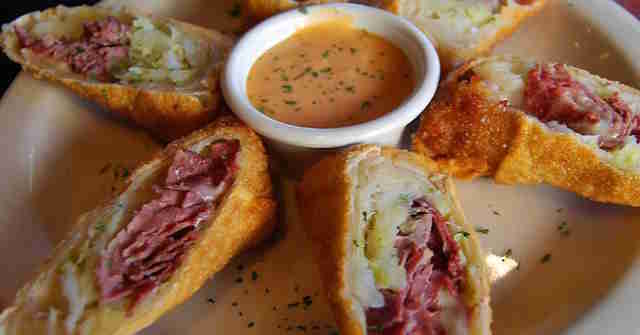 If that kick-starts your appetite, you’ll want to order the crazy-good Irish egg rolls (crispy egg rolls stuffed with savory corned beef and tender cabbage). There’s also live Irish music most nights, so keep tossing back those drinks until you think dancing along sounds like a good idea. Rí Rá’s beautiful interior was disassembled and brought over the pond from Ireland. 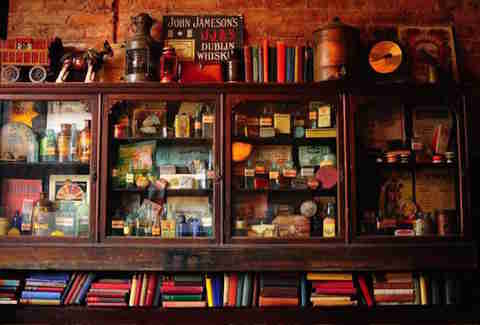 So if you never get to Ireland, you can at least say you’ve been in a pub that has. 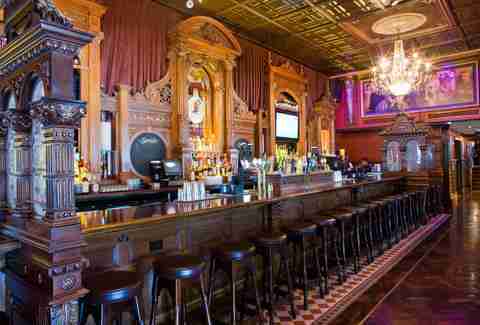 With hand-carved woodwork, crystal chandeliers, and comfortable stools, it’s posh without being pretentious. It’s also boozy and delicious -- grab an order of the potato cakes and cottage pie. 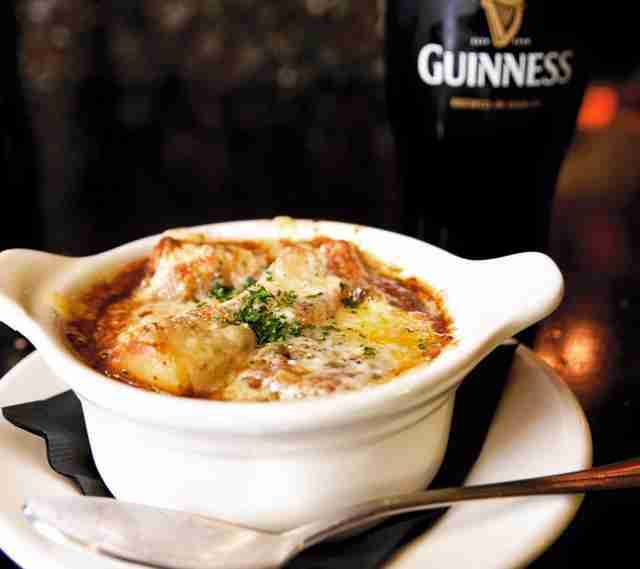 Dubbed “a bit of Dublin in Decatur,” The Marlay House has strong drinks and good food. While the menu has Irish standouts like shepherd’s pie and Dublin coddle, it also has a lot of non-Irish specials, like fish tacos and ceviche. The draft list is rotating, but you’ll regularly find beers like Bell’s, Stone Brewing Co, Dogfish Head, and Red Brick in the lineup. Hit it up on Mondays for half-priced appetizers, and enjoy it all on the large patio. Three little words make Keegan’s truly stand out amongst other Irish bars: Irish spring rolls. Be forewarned: these crisp rolls, crammed with corned beef, cabbage, and cheese, are something you’ll find yourself craving on the regular, and something you’ll undoubtedly find yourself washing down with one of Keegan's signature cocktails. If you like whiskey, Scotch, or bourbon -- and we’re betting you do -- take your thirsty lips over to Mac McGee. It has a mammoth selection, from the cheap stuff, all the way to the whoops-there-goes-my-paycheck. And since we all know money comes and goes, be sure to pair your selection with the Guinness bread pudding. It comes topped with Bailey’s ice cream and no feelings of regret. Brook Bolen is an Atlanta-based writer with a fondness for whiskey and Irish bars.